We all know that it is very scary to purchase a used or previously own vehicle. You just never know how responsible the previous owner or owners were. This can be quite unnerving for consumers when they’re looking at potential cars to purchase. I mean, how do you know if a vehicle has been in a prior accident? Or how can you trust it was repaired correctly after an accident? These are only a few of the factors an AutoCheck history report takes into consideration. Think of it as a summary of the car’s entire lifespan, from creation until the day the report is pulled. Additionally, another thing that makes AutoCheck so nice is the simplicity at which the company rates vehicles. There is a number scale that rates the cars between 1 and 100 and is as straightforward as it gets. This score takes into account all the factors mentioned above and even more. Data is provided by Experian, a global market leader in information services, which gives the entire AutoCheck more validity and customers a peace of mind. 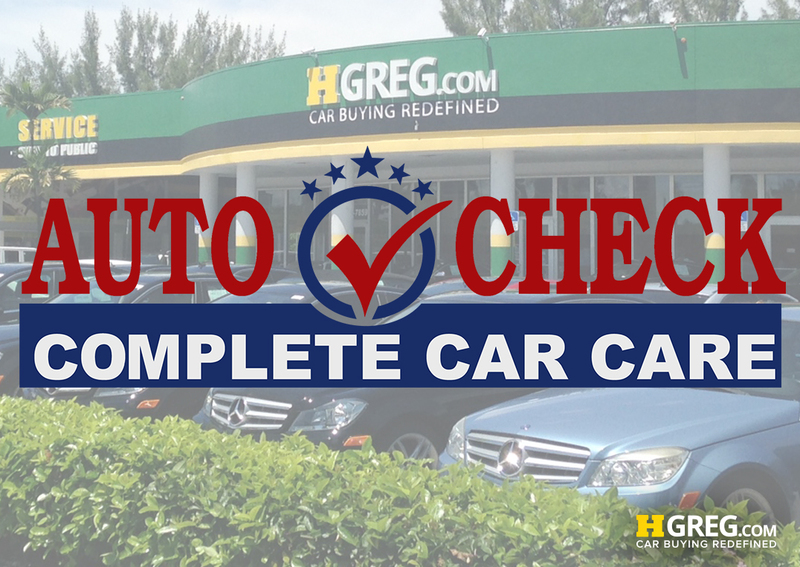 We here at HGreg.com provide a free AutoCheck report for every single vehicle in our inventory. Start your search for your next vehicle today.